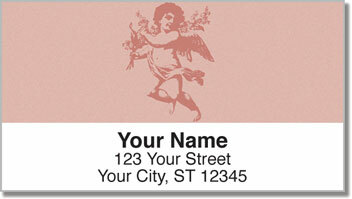 Childlike angelic beings decorate this elegant return address label design from CheckAdvantage. The artistic images were inspired by works of the Renaissance. While Cherubim were described quite differently in the Hebrew Bible, artists like Raphael chose to depict them as young and innocent. These angels are said to spend all their time in the presence of God. Find out what a blessing these labels can be, not just for their inspirational beauty, but because of how convenient they are. 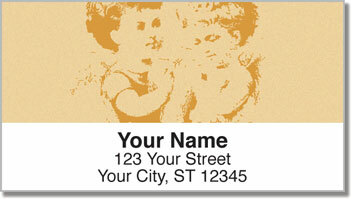 Just peel and place them on all your outgoing mail thanks to a self-adhesive backing. It's a simple solution to an often tiresome task. 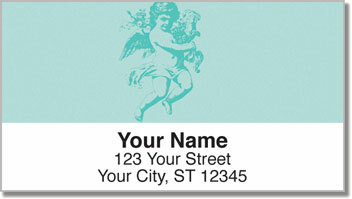 Get your very own Cherub Address Labels right now! 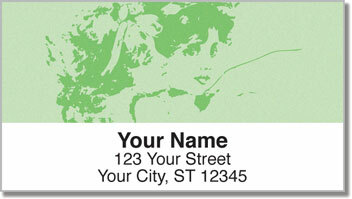 Complete your order with matching personal checks.